The Elec 127 F/V is a crystal scanner that can be modified easily to monitor your favourite paging frequency. By equipping the scanner with the right crystal, it can be tuned to your local paging frequency. This scanner has a discriminator that is built up with easy to reach discrete components. 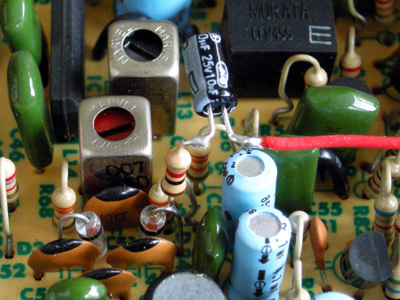 The cathode of diode D34 contains the unfiltered audio. 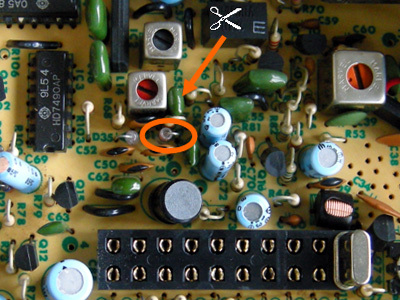 For a good result, C53, a 10 nF capacitor, needs to be removed. This capacitor attenuates the high-frequency components of the demodulated audio too much. This causes distorsion of the received data signal. After removing C53, a 1 k resistor is soldered to the top of D34. 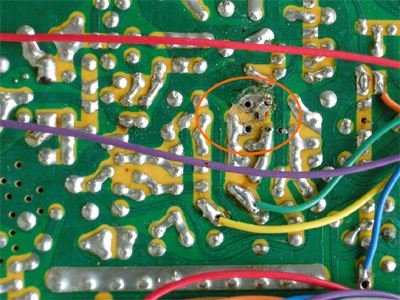 The resistor's other lead is soldered to the negative lead of a 10 uF capacitor. 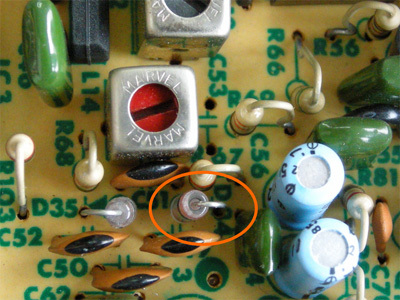 The capacitor's positive lead is connected to a mono 3.5 mm chassis socket, which can be mounted in the back of the scanner. As the chassis is grounded, a separate ground lead to the socket is not necessary.